Garden and outdoor lighting lend themselves well to creating the relaxing ambience many of us want from our outdoor space. Take a look at how to cleverly use lighting this summer to create an extraordinary backdrop and focal point to your garden. Lighting the garden is no longer a feat of electrical engineering. With solar lighting now coming in all shapes, sizes and styles the options are many and varied. Lighting is a practical addition, something that is not lost on us when we are making our way through the garden when the sun is setting. A pathway is the designated route in any garden and thus, if you have a path across the lawn or around the flower borders, opt for pathway lighting this summer. As well as mains electricity, you will also find a range of smaller solar-powered LED spotlights work fantastic in pathways or at the edges. Another means of highlighting walkways is to highlight where the boundaries are. Uplights work well, especially in the foliage. It pinpoints certain spots in the garden too, from the gnarled trunk of a tree to the beautiful shimmer of ornamental grasses you will only see with light behind their dancing, thin fronds. We become so focused on lighting THE seating area that we tend to leave the remainder of the garden in darkness. 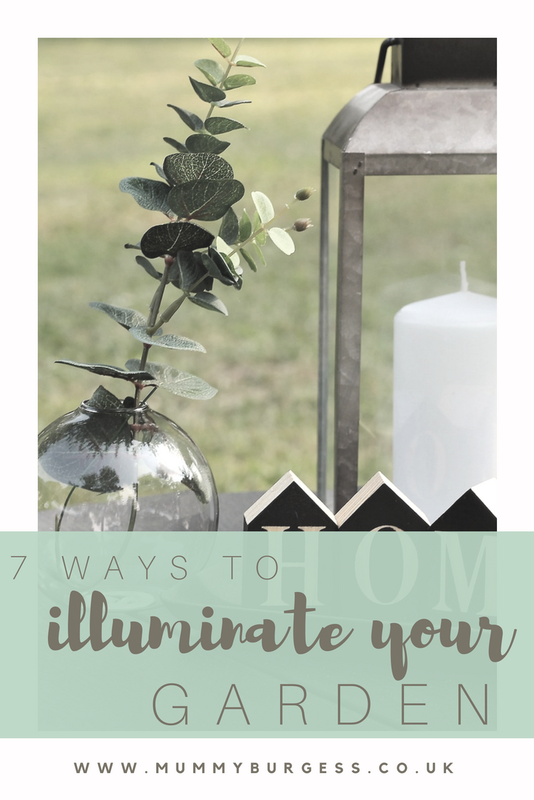 This creates a spotlight effect that may look dazzling in some ways, but backlighting helps to bring an even more romantic appeal to the garden. Place uplights in the planting behind your seating area or patio and watch it transform the space. Light emitting diodes or LEDs as we know them are revolutionising the places where we can safely use lights. Other bulbs as they use energy to give off light emit heat. And this means they couldn’t be used in tight spaces and were not always great for using outside either. But LEDs have changed all that. As well as small lights that can be sunk into individual decking planks to the LED strips that can be adhered to the underside of tables, benches, shelving and more, the options and styles you can create with LED lighting is almost endless. Possibly because it is easier in many respects, a straight line of LED lights in the decking produces a fantastic effect but if you want to ring the changes think curves and waves. Fitting LED lights into decking is relatively easy and straightforward. Just make sure you are using light fittings that are suitable for outdoor use. The heat and light thrown off from a firepit mark it out as something worth considering. However, you may not be so keen if you have children and/or pets running around. Possibly not a nightly solution either but when you have guests over, a fire is a great way of creating a pleasant outdoor dining or relaxing area. From a chandelier to a quirky, modern style, a hanging pendant light in the garden is not as far-fetched as you think. 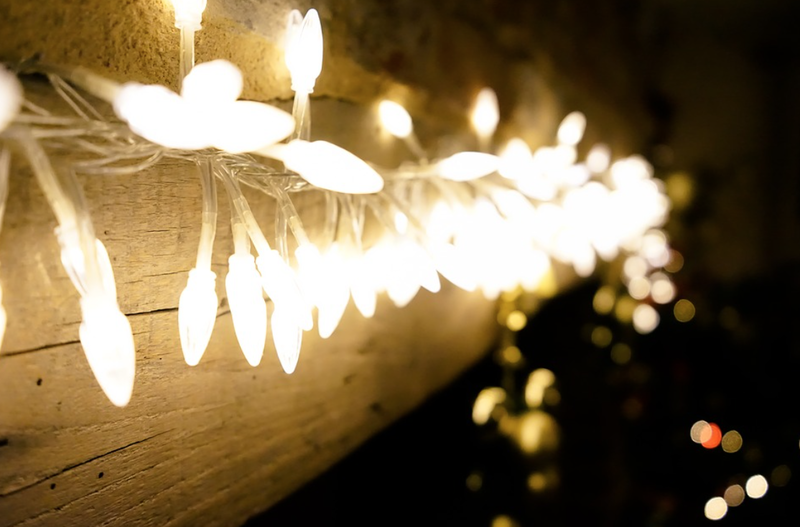 A qualified electrician will be able to rig your garden with the correct outdoor electrical sockets and connections, and frankly what would look more stunning than a chandelier hanging from the centre of your pergola? Consider adding a Perspex roof to create a dry seating area too. Can you have too many string lights in the garden? Most people would agree that the more lights of this style in a garden, the more enchanting and magic it looks. And with so many solar powered string light options, choose from pretty hearts to coloured paper glow. Drape them elegantly over table edges and surfaces, coil them delicately into clean, wash jam jars and other glass objects. Rattan Direct has many fantastic examples of garden and conservatory furniture that make enjoying relaxing and dining in the garden something we can all do.